This dish is hands down one of the easiest main courses you can make for your vegan and gluten-free friends or family members. All it requires is some slicing, some roasting, and some mixing of a glaze, but really, the oven does all the work for you. 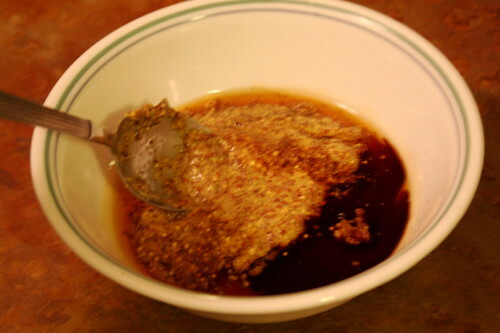 The maple syrup in the glaze adds a nice hint of sweetness while the mustard adds tart acidity, and the result is a nicely balanced savory dish. 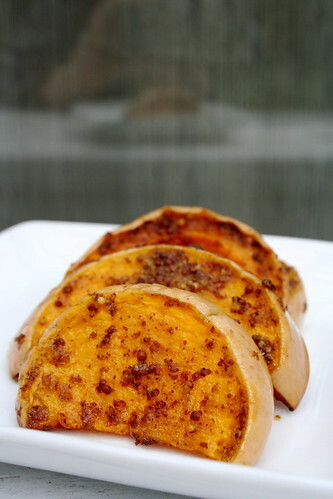 Of course this dish can be considered a side instead of a main course, but if you’re looking for something simple, hearty, and filling, this is the dish for you. 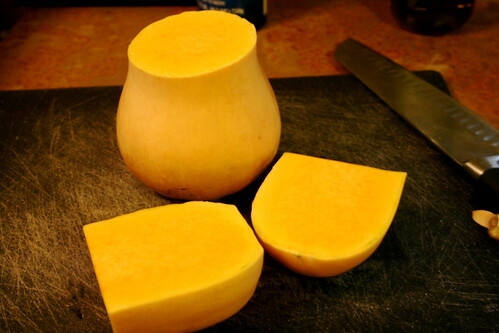 Slice the butternut squash in half. Slice again lengthwise. 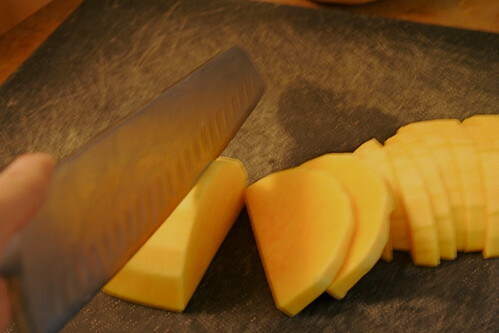 Slice widthwise into 1/2 inch slices. Be sure to make all slices the same width. 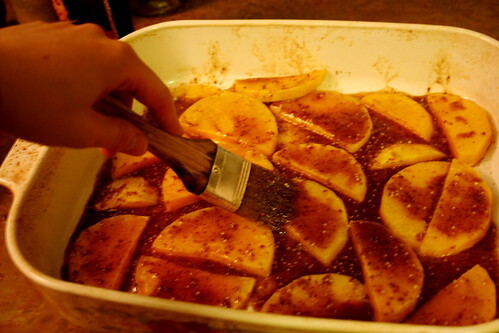 Place in a single layer on a baking sheet or in a pan, drizzle the olive oil on top. 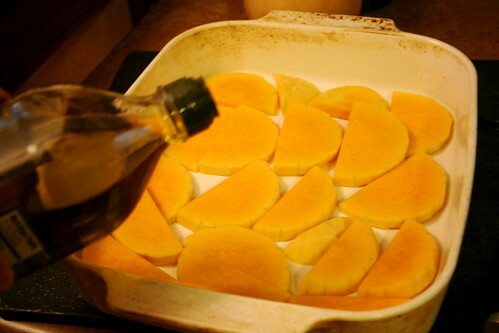 Use a pastry bush to coat the squash slices with the olive oil evenly. 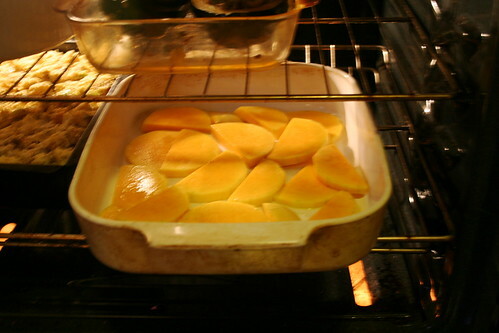 Place in the oven and bake for 35-40 minutes, until the squash is tender. 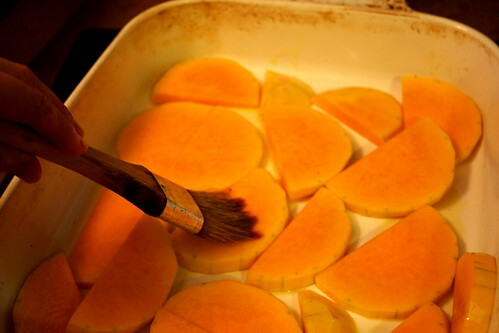 Once tender, remove from the squash from the oven and let cool for 1-2 minutes. 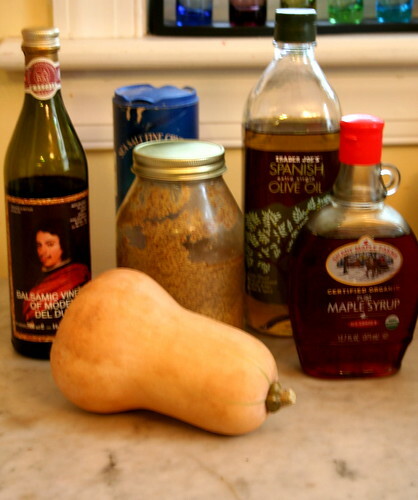 Meanwhile, mix together the maple syrup, mustard, and balsamic vinegar. 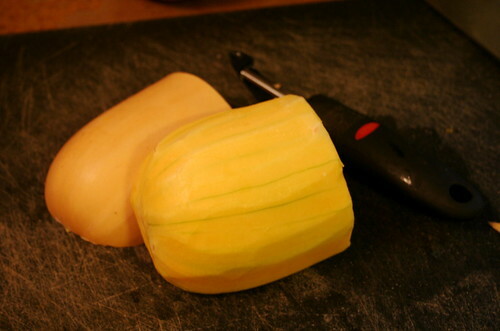 Pour the glaze on top of the squash slices and use a pastry brush to coat each slice evenly. 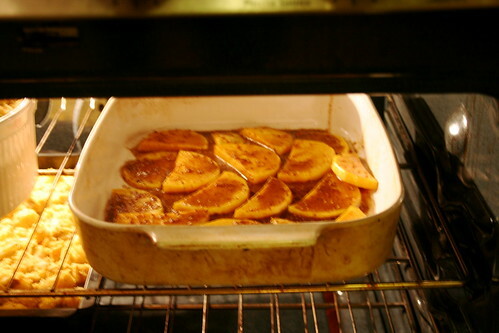 Place the squash back in the oven and bake for another 5 minutes to allow the glaze to set. Remove, let cool, and serve!